When: Saturday, May 4, 12:00pm - 2:00pm, for qualifying rounds. Playoffs begin at 2:30 pm. Qualifying: The tournament format will be Limited Best Game. Each player will receive 3 tickets, with each ticket representing one game on a qualifying machine. Players may not purchase additional tickets, which makes this tournament “limited” when compared to other Best Game or “Herb”-style pinball tournaments. The number of tickets players receive may change depending on the number of available machines. 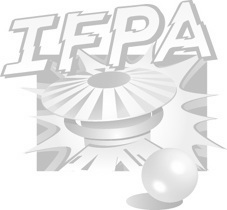 This is an IFPA endorsed tournament; anyone is eligible to play. Every player gets 3 entries to use during the qualifying period. To enter, a participant must place their name on the list with a scorekeeper and are asked to queue and be ready to play when it is their turn. After playing, score is recorded by the Tournament Director or designated scorekeeper and verified by the player. All Queues WILL BE CAPPED at 2:30pm, meaning no further names may be added to the queue after 2:30pm. Players will be scored based on their finishing position across ALL games (i.e. 100 points for highest score per machine). Top 8 qualifiers at the end of qualifying will be used to determine the final positions (Top 8 will advance to playoffs). All players must be present in the tournament area at 2:30pm for finals. Any qualifier who is not present in the tournament area at 2:30pm will forfeit their position, and the next highest eligible qualifier will advance to finals. The eight (8) players will be randomly placed into two groups of four (4) players to play a 4-player semifinals match on a randomly-assigned machine. The top 2 players in each match will advance to a final 4-player match to determine the winner and final positioning. The finishing positions for the 4 players that did not advance to the finals will be ranked based on their qualifying seed. All final decisions are that of the tournament director.